For great Intel performance, now with integrated graphics for HD playback, choose the latest Intel® Pentium® processor--updated for 2013. Great performance, great value. 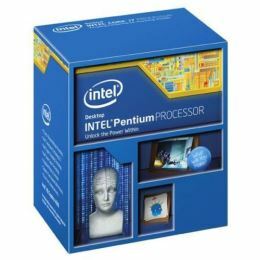 The latest Intel® Pentium® processor combines improved performance with quality and reliability, all at an exceptional value. Get your everyday tasks--like communicating with friends and family, watching HD videos online, basic photo editing, and managing your music and photo libraries--done quickly and efficiently. Discover what's possible with a new PC that provides great performance at a great price.